The Faculty of Architecture and Construction is the founder of the Osh Technological University. To prepare engineers-builders, mechanics and electricians in 1963 in the city of Osh the general technical faculty of the Frunze Polytechnic Institute was opened with an evening form of training. The first set of students in the specialty “Industrial and civil construction” was produced in 1988 at daytime, and in 1991 at extramural studies. In 1991, engineering faculty was opened for engineering specialties. In 1996, for construction specialties, the Civil Engineering Faculty was established, which in 2016 was renamed the Faculty of Architecture and Construction. The faculty maintains close scientific and educational-methodical relations with other higher educational institutions, such as Kyrgyz State University of Construction, Transport and Architecture, Kyrgyz-Russian Slavic University, Moscow Engineering and Construction Institute, Fergana Polytechnic Institute, Tyumen University of Architecture and Civil Engineering and others. At present, the Faculty of Architecture and Construction of Osh Technological University is the only faculty in the south of Kyrgyzstan to train highly qualified builders, architects, designers and road workers. In the preparation of students, the faculty closely interacts with regional production, construction, road and other institutions, such as the Southern Center for Standardization, Certification and Metrology in Construction, Osh Oblast and City Department of Architecture and Construction, KNIIP of Urban Development, Oshgiprostroy, Oshgosarhstroynadzor, asphalt plant, operational management, land administration and registration of real estate rights in Osh city and others. The bases of the above-mentioned enterprises and institutions in accordance with the drafted bilateral agreements are used for practical, laboratory classes and the passage of training and production practices. Main publications: more than 50 scientific articles and educational and methodological developments. Further training: 1999, 2006, 2008, 2014, 2017, Bishkek, Osh, Cholpon-Ata. Main publications: more than 10 scientific articles. Degree: Master in the direction of “Construction”, 2017. Educational-methodical: 1 manual “Seismic stability of buildings and structures2. 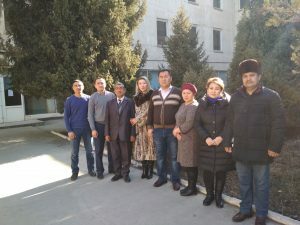 Further training: Innovative technologies of education in the university, Osh, 2011. Workphone: 03222 4-35-59, mob. 0557471968, 0777471968. Work phone:. 03222 4-35-59, mob. 0554572000, 0777572000. Nurbayev Abdyvahap Mamadrasulovich – deputy of the Jogorku Kenesh of the sixth convocation of the KR. Satybaldiev Jantoro Zholdoshevich is a member of the Board of Directors of the Eurasian Savings Bank. 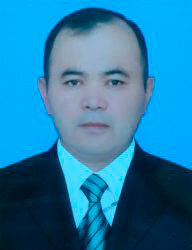 Zulpuev Abduvap Momunovich – rector of the Batken State University, Doctor of Technical Sciences, Professor. Zholdoshev Azhimurat – head of the Osh regional department for architecture and construction. The Department of Applied Mechanics was founded in 1984. In order to improve the educational process in the Osh evening faculty of the FPI on the basis of the OTD sector on the orders of the Minister of the VRSS dated 14.06.1984. № 202 was created by the Department of Applied Mechanics. On the orders of the Rector of the STIK from 6.09.1994. No. 09-01 / 66 the departments “Applied Mechanics” and “Machine Science” were merged and the newly formed department is called the Applied Mechanics Department. 750002 “Construction of railways, bridges and transport tunnels”. The goal of the department is to provide high-quality training for specialists taking into account new innovative technologies, conduct research, improve the teaching of disciplines, improve the educational process, take part in international grants related to improving the scientific, educational, methodological process, fruitful cooperation with related departments other universities. Ensuring continuous improvement of the quality of teaching. Increase the scientific and methodological level of conducting lectures, practical classes. Development of working programs and teaching-methodological complexes of disciplines. Discussion of research papers prepared by the members of the department and post-graduate students. Organization of research work of students and their involvement in participation in scientific conferences and seminars. Raising the qualification of the teaching staff. Representing the interests of the staff of the department in the management structures of the University and other organizations. The material base of the department consists of the appropriate educational (classroom) and laboratory rooms equipped with the necessary facilities and instruments that provide the required level of training for bachelors, specialist engineers, masters, candidates of science. At the disposal of the department there are 2 lecture rooms with a capacity of 128 people with a total area of ​​108 sq.m. and equipped with relevant thematic stands, two training laboratories with a capacity of 84 people (grouping in two subgroups for laboratory work), as well as a research laboratory (NIV) for research work, with an area of ​​186 sq.m. Educational laboratory laboratories are provided with the necessary facilities and measuring equipment for conducting educational laboratory works. In the learning process, interactive teaching methods, modern educational technologies and technical teaching aids are used. № 2/223 – Department of Applied Mechanics, an area of ​​ 36m2. №2 / 222 – audience “Technical mechanics” for practical and lecture classes, area 54 m2. №2 / 224 – audience “Resistance of materials and construction mechanics” for practical and lecture classes, area 54 m2. 2/001-laboratory audience “Machine parts” – an area of ​​84 m2. № 2/001 – laboratory audience “Resistance of materials” – an area of ​​84 m2. № 2/317-research computing laboratory, an area of ​​18 m2. Karimov, E.M – Construction and reconstruction of roads in mountainous areas. Marufiy A.T, Egenberdieva AA- Problems of simulation structures of buildings and structures taking into account their actual work. Karataev A.T – Stress-strain state of composite products. Education: Higher Technical, Osh Technological University named after M.M. Adysheva, 1997. Main publications: He published more than 35 scientific articles and educational-methodical working-outs. Academic degree: Doctor of Technical Sciences, specialty 05.23.17 “Construction mechanics” (2004). Main publications: He has published more than 200 scientific articles and educational methodical working-outs, including 11 teaching aids from the MOInKR stamp (1996, 2001, 2003, 2005, 2006, 2008, 2009, 2011, 2013, 2016 and 2017), 1 monograph published ASV, the CIS of Moscow (2003), 2 monographs, Bishkek – 2006,2014 and 15 copyrights under the Kyrgyzpatent line. Further training: GASU on the basis of the agreement, holding scientific seminars (2012). Education: Higher technical, Frunze Polytechnic Institute, 1978. Education: Higher Technical, Polytechnic Institute (Russia), 1969. Scientific degree: Candidate of Technical Sciences (1985). Teaching subjects: Conducts practical classes on courses, “Theoretical mechanics”, “Resistance of materials” and “Construction mechanics”. Main publications: She has published more than 15 scientific articles and educational-methodological working-outs, including 1 training manual by the MOInKR stamp (2017), 2 copyrights by the Kyrgyzpatent line. Advanced training or prof. retraining: Certificate, “Improvement of professional skills of young scientists and teachers” (2017). In order to train qualified specialists in the direction of construction and operation of motor roads, in 1998, on the orders of the rector of the OshTU the Department of Engineering Constructions of the ECF, (Engineering and Construction Faculty ) the “Roads and airfields” sector was established. In 2000, the department “Roads and airfields” was established based on 2 sectors “Geodesy and graphics” and “Roads and airfields”. An example and pride of the department are graduates: Musa Mubarakovich Zhalaldinov, who heads the department from 2013 to the present; Turabyev Chyngiz Kubatovich – Assistant dean for Academic Affairs, FE&B OshTU; Kozhanazarov Nurbek Abdymitalipovich – Director of Road Construction Department at the Mayor of Osh; Turdukulov Abdigani Sadirovich – Head of Road Operational Institution No. 21 in Osh; Baatyr uulu Nurgazy – Director of Arthur-N LLC for road construction; Abdyrakhmanov Tuigun – Director of Sputnik Stroi Ltd. for road construction, etc. Department “AR&A”, starting from 2012 – 2013 academic year, provides training and production of engineers for bachelors and highly qualified specialists in the areas of 620000 “Surveying and land management” and 750550 “Construction”. Specialty 620101 “Applied Geodesy” (qualification degree – engineer-geodesist). The normative term of training in full-time form is 5 years. 620200 “Land management and cadastre” (qualification – bachelor). The normative term of training in full-time form is 4 years. 750500 “Highways and airfields” (qualification – Bachelor). The normative term of training in full-time form is 4 years, and for distance education – 5 years. After graduating from the University, graduates in the specialty “Applied Geodesy” are awarded the qualification “Engineer Surveyor” and for bachelor’s graduates – a bachelor who will be awarded convertible diplomas at the level of international and market economy. Siberian State University of Geoinformation Technology (SibSUGT). Information on the composition of the department. At the department of “AR&A” there are 9 full-time staff of the faculty. Of these, 2 candidates of technical sciences, professors (Duyshoev S.D and Tsoy A.V) 1 docent of OshTU and 4 senior teachers. Educational support staff of the department – 2 people, (all have higher education), of which 1 engineer and 1 laboratory assistant. Head of the department “Automobile roads and airfields”. He graduated from the Osh Technological University (2005) with a degree in Automobile Roads and Aerodromes and a postgraduate course (2013) at the Department of Applied Mechanics of the Engineering and Construction Department of the Osh Technological University. Musa Mubarakovich was awarded with honorary diplomas of Oshtu, the city administration of Osh, the Ministry of Transport and Communication of the Kyrgyz Republic. He has more than 30 scientific publications and 8 educational and methodological developments. He is the author of an innovative project successfully implemented in the road construction of Kyrgyzstan, as well as a co-author of four author’s and one author’s certificates of the Kyrgyz Republic. Jalaldinov Musa Mubarakovich heads the department for four years. With his arrival at the department, there have been positive changes in the provision of the material and technical base of the department. Cooperation of the department with the production branch allows to study and solve problems of quality and reliability of highways. Duyshoev Satyvaldy Duyshchovich– candidate of technical sciences, Professor of the department ‘’Automobile roads and airfields”, OshTU. He graduated from the Frunze Polytechnic Institute (1978), majoring in Industrial Civil Engineering.S.Duishoev has been working in OshtTU since 1991. In 1997-1999 he studied at the part time postgraduate study at OshtU. From September 2004 to 2014 – docent of the department “Automobile Roads and Airfields” EBF OshTU, and from 2014 to the present – professor of the Department. In 2002, at the Kyrgyz State University of Construction, Transport and Architecture (KSUCTA), he defended his thesis on specialty 05.23.05. «Building materials and products». Awards: Excellence in Education of the Kyrgyz Republic, Honorary Diplomas of Osh Regional State Administration, Ministry of Transport and Communication of the Kyrgyz Republic, anniversary medal for the 50th anniversary of the foundation of OshTU University for many years of work in the education of civil engineers. “Fundamentals of scientific research in road construction. “He has 50 scientific publications and educational methodical developments. He is a co-author of a patent for inventions. He graduated from the Tomsk Civil Engineering Institute (1973) with a degree in Industrial and Civil Engineering and a postgraduate course (1979) at the Department of Soil Mechanics, foundations and foundations of the Moscow Engineering and Construction Institute, in 1980, at the Specialized Academic Council of the Moscow Engineering and Construction Institute defended his thesis on specialty 01.02.07 – Mechanics of soils, loose bodies and rocks. He was awarded the badge of the “Honorary worker of the national education of the Kyrgyz Republic”, the Certificate of Honor of the Ministry of Education and Science of the Kyrgyz Republic, medal to the 50th anniversary of the foundation of the OshTU University for many years of work in the education of civil engineers. “Bases and foundations of transport facilities”. He has 60 scientific publications and 16 educational and methodological developments. He is the co-author of 8 copyright certificates (USSR) and 6 patents (CR) for inventions. He is the author of more than 20 innovative projects successfully implemented in the construction and small heat power industry of Kyrgyzstan. 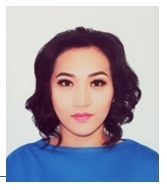 In 1994 she graduated from the Kazakh State Architectural and Construction Academy (KazSACA) with a degree in Applied Geodesy and postgraduate studies (2002) at the Department of Physical Geography, Applied Geodesy and the Concept of Natural Knowledge of the Biological Faculty of Osh State University. He was awarded with Honorary Diplomas of Osh Technological University (OshTU), Osh State University (OshSU), and Mayor of the Osh. She has more than 30 scientific publications and 6 educational and methodological developments. 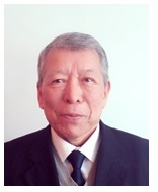 He is the author of three copyright certificates of the Kyrgyz Republic. He graduated in 1991 from the Tashkent Institute of Architecture and Construction (TIAC) with a degree in Applied Geodesy and postgraduate studies (1995) at the Department of Applied Geodesy of the Faculty of Civil Engineering of TACI. The best engineer-geodesist for bridge construction in Osh. He was awarded with Honorary Diplomas of Osh Technological University (OshTU), Osh State University (OshSU), Osh city administration and Osh regional trade union committee. “Fundamentals of Real Estate Cadastre”. He has more than 25 scientific publications and 30 educational and methodological working- outs. The main direction of scientific activity is connected with the development of GIS-technologies for road maintenance services based on GPS Global Position System satellite images. Ergeshova Gulya Belekovna, docent of the department “Roads and airfields”,OshTU. In 1987 graduated from the Moscow Engineering and Construction Institute (MECI), specializing in the production of construction products and structures.Ergeshova Gulya Belekovna has been working in OshTU since 1989 as a teacher, senior lecturer of the department “AR&A”. From September 2015 to the present time he works as an assistant professor of the Department of Automobile Roads and Airfields of the FAC OshTU. Successfully combines scientific work with the teaching process. He is the author of more than 10 scientific articles and educational methodical developments. Awards: Honorary diplomas of OshTU, city hall of Osh city and was awarded with medal to the 50th anniversary of the foundation of OshTU University for many years of work in the education of civil engineers. Turabyev Chyngyz Kubatovich, senior lecturer of the department “Automobile roads and airfields” OshTU. He was awarded with the Honorary Diplomas of OshTU, the city administration of Osh. He has more than 10 scientific publications and 2 educational and methodological developments. “Construction of highways” • “Architecture of highways”;• “Winter content of blood pressure”;• “Economy of the road economy”. In order to train highly qualified specialists in 1963, the Osh General Technical Department of the Frunze Polytechnic Institute was established in Osh in accordance with the decision of the Ministry of Higher and Secondary Special Education of the USSR and the Kirghiz SSR. In 1976, under the Osh General Technical Faculty of the FPI, the Department “Construction Industry” was created, designed to provide end-to-end training for civil engineers. Head of the department was appointed candidate of technical sciences, docent Akmatov S.A. Before the chair there was a task in the shortest possible time to form and create the educational-laboratory base for the organization of the educational process. By the end of 1977, the department created a training and laboratory base, which allowed conducting classes in all disciplines. The acquisition of textbooks, instruments and equipment was carried out from all regions of the USSR. The first graduation of engineers-builders at the department took place in 1979. For the period of the department’s activity, a target educational system has been created and through training of civil engineers has begun. In order to strengthen the staff in the 1979-1980 academic year, Tsoy A.V., Kulikov A.N., Kulikova L.P. were invited to the department and etc. The department has done a tremendous amount of work to prepare graded cadres and sent to the universities and leading scientific research institutes Marufiy AT, Satybayev AT, Orozbekova MO, Bakhridinova M., Akmatova SE, Zulpueva AM, Borboyeva AM, Kalchoroyeva AK and etc. On the basis of the department “Construction Industry” the following independent departments were created: “Applied Mechanics” – 1984, “Industrial and Civil Engineering” – 1991, “Engineering Constructions” – 1991, “Geology of Minerals” 1998. , “Roads and Aerodromes” – 2000, “Architecture, Design and Graphics” – 2004. In 2001, the departments “Industrial and Civil Engineering” and “Engineering Constructions” were merged and the department was given the original name “Construction Industry”. Since the moment of foundation, the department was in charge of:Akmatov Sarybai Akmatovich – can. tech. 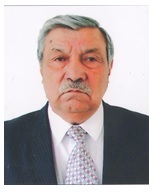 sc, prof. of OshTU, the department of Construction Industry, 1976-1994; Akmatov Sagynbay Ermenbaitegin–can.tech.sc., docent, department of Industrial and Civil Construction, 1994-2001; Seitov Bolot Mukaevich–can.tech.sc., docent, Department of Engineering Constructions, 1992-1997; Akmatov Sarybai Akmatovich–cand.tech.sc.prof. OshTU, the department “Engineering Constructions”, 1997-2000; Kalchoroyev Almaz Kachkanakovich–cand.tech.sc., docent, Department “Construction Production”, 2000-2004; Shabdanov Musa Dobulovich –cand.tech.sc, docent, from February 2004 to 2006; Seitov Bolotbek Mukaevich – Doctor of Technical Sciences, Professor, Department “Construction Production” from 2006 to the present. During its operation, the department has produced about 5,000 construction engineers who work in various areas of the national economy. Chyrmashev S. – ex – minister of the Ministry of Emergency Situations, ex – mayor of Osh city, Zhorobayev A. – director of Osh branch of RSK Bank Kyrgyzstan, Alimzhanov A. – ex – director of JSC “Bakay”, Borboev A.M. – Head of the South Regional Department of the Environmental Protection Department of the Ministry of Energy and Environment, SatyshovТ.S. – Head of the Department of the State Oil Company of the Osh Region, Zulpuev AM – Rector of BaTU State University and others. Since 1995, the department began to prepare its graduate students, the first of which were Halimov M.M., Kurbanov B.B., Shabdanov M.D., Duyshoev S.D., Kurmanbaev A.B. and etc. During the 40-year period of the department’s “Construction Industry” department, theses for the degree of Candidate of Technical Sciences have been prepared and defended: Tsoy A.V, Marufiy A.T., Orozbekov M.O., Akmatov SE, Bakhridinov M. B., Zulpuev AM, Borboyev AM, Kalchoroy A.C., Adanbaev U.A., Shabdanov M.D., Duyshoev S.D., Kurbanbayev A.B., Mamytova A.S. , and also doctors of technical sciences: Orozbekov M.O, Seitov B.M, Marufiy A.T. and Zulpuev A.M.
At present, candidate of technical sciences, docent Samiev M.S., prepares the doctoral thesis. The department closely cooperates with such universities as the Moscow State University of Civil Engineering, the St. Petersburg State University of Architecture and Civil Engineering, the Kazakh Head Architectural and Construction Academy, the Volgograd Academy of Civil Engineering and Architecture, the Tomsk Building and Architectural Academy, the Ferghana Polytechnic Institute, the Kyrgyz State University of Construction, transport and architecture, Kyrgyz-Russian Slavic University, etc. Employees of the department developed and prepared more than 50 educational guidelines and 5 electronic versions of lectures. Also, 3 textbooks and 1 monograph were issued under the stamp MES of KR. At the department there are 2 doctors of technical sciences. Prof., 1 prof. of OshTU, 2 docents, 5 senior lecturers and 7 teachers. Since 2016, the department together with the department of magistracy of OshTU has formed a master’s degree in the direction 750500 “Construction” with a standard number of students of 12 people. In 2017, the above-mentioned direction received an unlimited license from the Ministry of Defense and the KR with a standard number of students of 50 people. In the same year, an independent program accreditation in this direction took place with a term of 5 years. 750500 – Theory and design of buildings and structures. 05.23.05 – Building materials and products. The general theme of the department is seismic resistant construction. Development of methods for determining the maximum horizontal seismic loads of multi-story frame buildings. Investigation of wall ceramic materials using local raw materials in the southern region of the Kyrgyz Republic. Development and investigation of load-carrying capacity of multi-story frame buildings with probabilistic loss of stability of columns in the limiting stage. Development and investigation of reliability and durability of prefabricated reinforced concrete structures on the basis of local raw materials. Development of integrated technology for the production of prefabricated reinforced concrete using solar energy. Seitov Bolotbek Mukaevich, Head of the Department “CP”, Doctor of Technical Sciences, Professor. Teaching disciplines: FCC (ferro-concrete constructions), SSBS (Seismic stability of buildings and structures), design and calculation. constructions. Fundamentals of scientific research in construction. Scientific:more than 200 scientific publications 3 monographs on the direction of reliability of reinforced concrete structures and seismic construction. Seismic protection and its organization – Bishkek: Ayat; 2015.-288s. Seismic stability of buildings and structures. -Bishkek: KRSU, Ayat-2016.-96b. Introduction to the theory of resistance of reinforced concrete and the calculation of reinforced concrete structures. – Bishkek :, Ayat-2016.-256b. Teaching disciplines: “Metal Constructions”, “Material Science”. Scientific: more than 50 scientific publications; thermo cycling of metals, improvement of the theory of strength of metal structures. Methodical guidance for the implementation of the course project No. 1 and No. 2. Scientific: more than 20 scientific publications on the topic: technology of construction. Educational-methodical: Uylordu shybaktap zhasalgaloo zana kuruuchularga paidaluu keneshter. OshTU, 2015. 172c. Educational-methodical: Methodical guide to the performance of the final qualifying master’s thesis work / Seitov BM, Samiev MS; – Osh: OshTU, 2017.- 48 p.
Scientific-research practice, OshTU, the department “Construction production”; Osh: Oshtu, 2018. Applicant for the scientific degree of Doctor of Technical Sciences on the topic “Development of scientific bases for ensuring the durability of prefabricated concrete blocks based on local raw materials of Southern Kyrgyzstan”. Teaching disciplines: Engineering systems of buildings and structures, hydraulics, mathematical modeling in construction. Scientific: more than 20 scientific publications in the field “Improvement of hydraulic structures”. Educational-methodical: Research practice for undergraduates studying in the direction 750500 Building, OshTU; Osh: OshTU, 2018. Scientific: more than 15 scientific publications, analysis of buildings performance under impulse seismic influences and determination of seismic loads. Educational-methodical: Methodical instruction for the implementation of the course project No. 1 and No. 2 on the discipline of the FCC. – Osh: OshTU, 2013. – 108 p.
Scientific : more than 15 scientific publications. Perfection of energy and resource-saving wall ceramic products. Scientific:Development of wall building materials based on renewable resources for the erection of buildings and structures. Teaching disciplines: “Architecture”, FCC, “Seismic stability of buildings and structures”. Scientific: Evaluation of the bearing capacity of columns in a multi-storeyed frame building. Educational-methodical: Methodical guide for the performance of the final qualification work of the bachelor in the direction “Construction”. -Osh, OshTUin 2016. Scientific publications: more than 5 articles in the field of “Economics of construction”. Scientific publications: Seismic resistance of buildings. Scientific: articles on nanotechnology in construction. Scientific: Modeling of superplastic aluminum alloy. Scientific: Development of an integrated technology for the production of reinforced concrete structures based on local raw materials of the Kyrgyz Republic. Educational-methodical: Laboratory workshop on SCR. – Osh: OshTU, 2018. The Kyrgyz Republic is a mountainous country with a sharply continental climate and heavily-crossed terrain. Dangerous natural phenomena: avalanches, mudflows, landslides, snowfalls, rock falls, hot summers and other climatic factors exert their influence when choosing construction sites in populated areas. There is a need for special measures to prevent negative phenomena of nature. In these conditions, the need and work of architects-designers is invaluable. Thus, the need for architectural and design personnel is growing every year. That confirmation of the application to the management of the architectural services of the regions of the southern region about the needs of architects and designers. In order to train qualified specialists in the direction of “Design of the architectural environment” in 2001, the “Architecture, Design and Graphics” sector (AD&G) was organized within the “Construction Production” department (JV), and in 2004, in connection with the increase in student enrollment was transformed into the department of “Architecture, Design and Graphics” (AD&G). The head of the department was the chief architect of Osh, a member of the Union of Architects of the Kyrgyz Republic Tolonbaev M.A. The department closely cooperates with such universities as Kyrgyz State University of Construction, Transport and Architecture (KSUSTA), Kyrgyz-Russian Slavic University (KRSU), etc. By order of the Ministry of Education and Science (MES) of the KR under No. 237/1 of February 28, 2017 (the decision of the Council on licensing of the MES and the MES of the Republic of Belarus protocol No. 139 dated February 27, 2017), the right to open-ended educational activities was obtained. The normative term for mastering the training program is 5 years. Architecture is the basis of any town-planning activity: construction, landscaping, gardening, streets, roads, sidewalks, squares, squares, parks, water arteries, etc. Since 2011, the department has moved to a two-tier education system in the Bologna process. The terms of the bachelor’s training in the directions “Design of the architectural environment” and “Architecture” – 5 years. in any other organization in the direction of decoration. After graduation, the graduates are given the qualification of the “Architect-designer” in the direction “Design of the architectural environment” and “Architect” in the direction “Architecture”. They will be awarded with convertible diplomas at the level of international and market economy. The faculty and students of the department actively participate in international conferences, exhibitions and other events of our country. For 2017-2018 at these events more than 10 diplomas and certificates were won. The department conducts training on the following educational program in the direction: 750200 “Design of the architectural environment” -degree “bachelor”, 750100 “Architecture” -degree “bachelor”. In teaching students along with traditional methods, interactive methods are used, and special attention is paid to so-called “workshop system” training, when the teacher conducts master classes and offers his own method of teaching. Each architectural workshop, according to the agreement with the department, provides for the training of students equipped premises, office equipment, a library. Workshops of architects, with which the department has drawn up cooperation agreements, are workshop “Osh regional main department of architecture and urban development” Osh city and the workshop of LLC “Arkh.Aalam”. Scientific publications: he published more than 50 scientific articles and educational methodical work outs. Scientific publications: more than 10 methodical instructions, 20 scientific articles, 1 tutorial. Works in the field of design and architecture: the central square of Osh, a conference hall with a sports hall in OshSSU, cafe “Bai-Suu”, Dozens of multi-storeyd apartment buildings in Osh, Shopping Center in Osh; Leisure Center in Osh and several dozen residential houses of individual construction. Works in the field of design and architecture: dozens of project documentation for residential buildings in Osh and Jalal-Abad, Adaptation of the project for the transfer of rotary kilns OJSC Kant Cement Plant; Construction of the entrance to the city of Osh eastern gate under the theme “Kyrgyz Kochu” and several dozen project documentations of individual construction.